The frozen ocean is one of the largest biomes on earth. It provides a unique habitat for organisms ranging from bacteria to whales. At the same time sea ice influences biogeochemical processes on small scales in the ocean up to large scales in the deep sea and the atmosphere and subsequently the global climate. 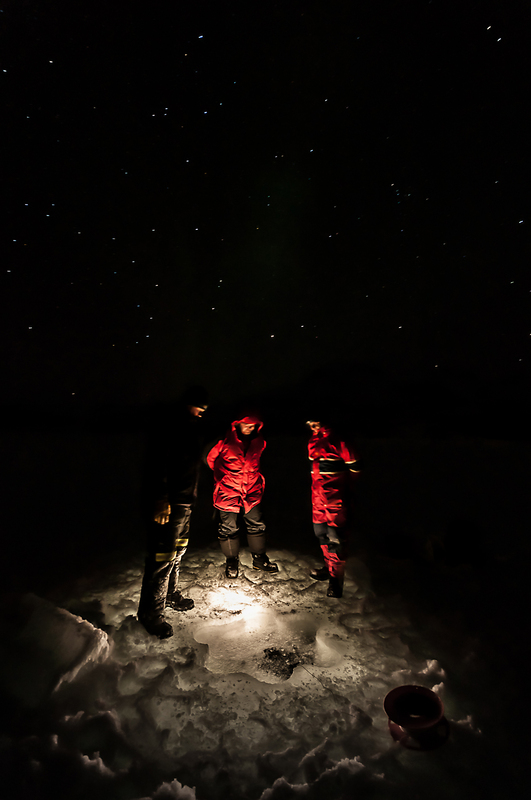 The images show field work on sea ice. Instruments are lowered through a hole in the sea ice into the "deep" ocean to unravel the secrets of the ice-ocean interactions.